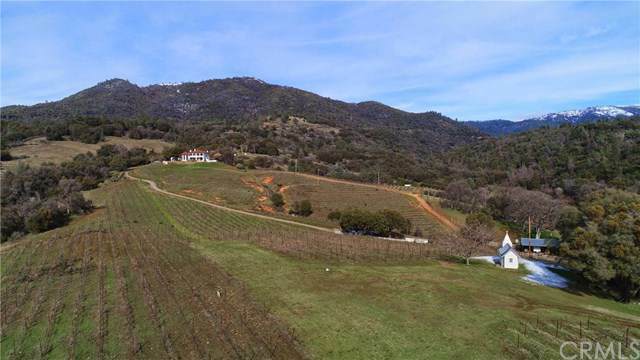 4063 Triangle Rd., Mariposa, CA 95338 (#300968537) :: Ascent Real Estate, Inc. 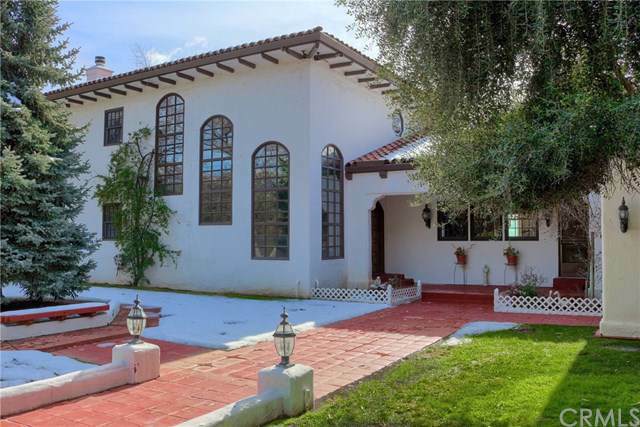 Luxury European Mountain Estate set on almost 200 acres with stunning Sierra views! The estate features a 6,000 SF Architecturally Designed Home overlooking the grounds of established grape vines, two ponds, a wine processing center and even a family chapel! 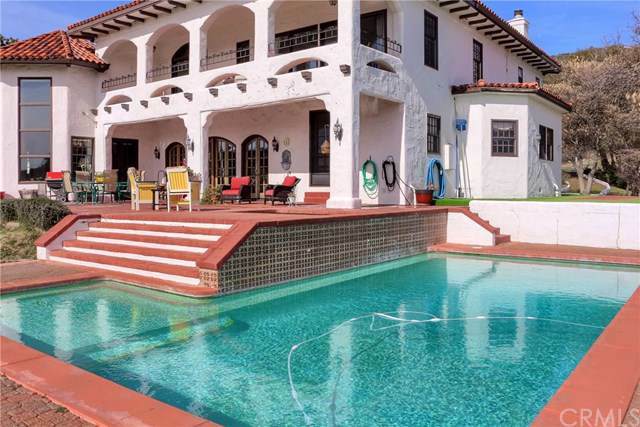 Enter the main home through a grand foyer to the large living room with a double set of French Doors leading out to the expansive covered patio, crystal blue pool and built-in spa, all overlooking the vineyards. 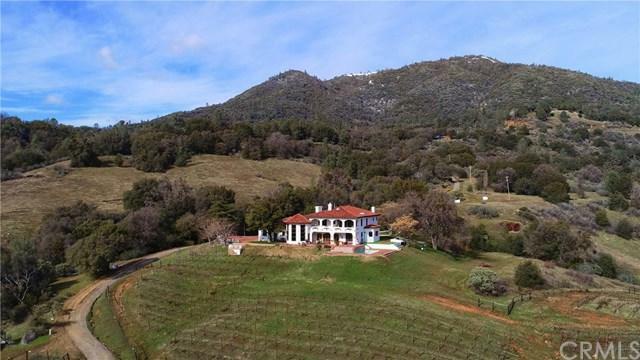 You'll love the huge family-style kitch Luxury European Mountain Estate set on almost 200 acres with stunning Sierra views! The estate features a 6,000 SF Architecturally Designed Home overlooking the grounds of established grape vines, two ponds, a wine processing center and even a family chapel! Enter the main home through a grand foyer to the large living room with a double set of French Doors leading out to the expansive covered patio, crystal blue pool and built-in spa, all overlooking the vineyards. You'll love the huge family-style kitchen with multiple work stations, traditional appliances as well as a working antique stove and oven and also wood-fired stove. From there, step down to a stunning dining room with gorgeous expansive tall windows in a circular pattern overlooking the views. The main floor has two guest bedrooms, both with walk in closets and their own bathrooms. There's also a very unique full bathroom off the hallway with a private soaking bathtub. Up the staircase first, is a loft with a sitting area and library, a full office or den and then the remaining upstairs space is the expansive amazing Master Suite with a fireplace, seating area and grand balcony. You step out onto the balcony and take in the amazing views and all your cares melt away. The Master Bathroom includes a large jetted soaking tub, separate walk-in shower, two vanity areas and a Sauna. From the main home, you drive down the paved road to the winery building, the 2 bedroom guest house and barns. Call today for a tour! Listing provided courtesy of Concierge Real Estate Services. Listing information © 2019 San Diego MLS, Inc.